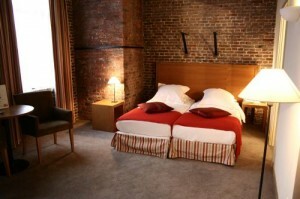 In organizing the conference, we pre-booked some hotel rooms in the city of Ghent for our conference participants. Some of you have already booked one of more of these rooms. At the same time we noticed that there are still many rooms left. For us, it is not quite clear whether that is due to the fact that participants are searching for accommodation themselves or participants are waiting to book last minute. At the same time our conference takes place in Ghent, a large conference on seafood is taking place in Brussels (the capital of Belgium). Hotel owners sended us a message that the scale of this conference is affecting hotels all over Belgium and that they cannot longer hold our reserved rooms than only for a few days. If you have not booked your hotel room or B&B, we advise you to do so this week. This can be easily done via our ‘hotel accomodation’ page.